Learn how to create a colorful, breathtaking arrangement with flowers that will last forever. 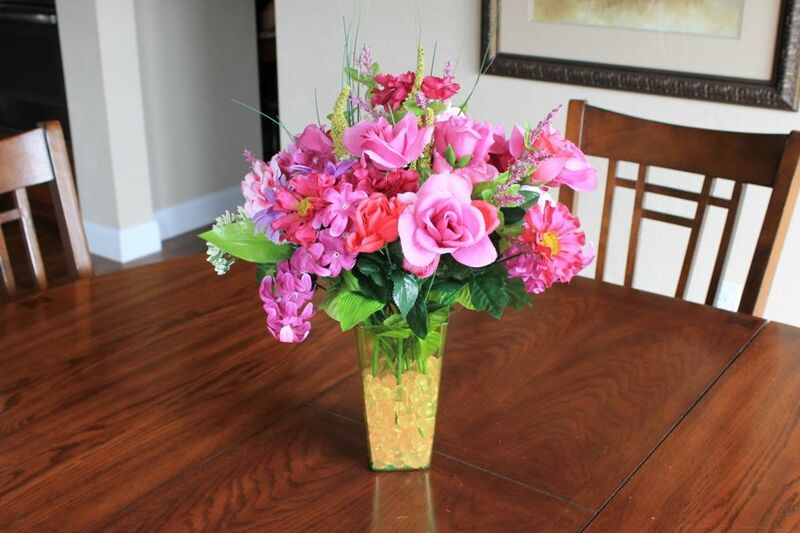 Don’t you wish you knew how to create a floral arrangement to liven up your home? After you receive a beautiful bouquet of flowers for your birthday, you place them on your bare kitchen table, and the whole room automatically feels ten times cheerier. After you come to your senses, you realize that forking over a $100 every month to your local florist isn’t the wisest investment. So what’s the alternative? I know what you’re thinking – “Fake flowers are SO cheesy.” Listen, I thought the same thing until I found out that isn’t always the case! It just takes a good eye, and a little bit of patience to spot the ones that look as though they’ve been freshly picked from a botanical garden. I’ll show you how to choose the most realistic looking flowers and how to create a truly stunning arrangement for the price of a scone and your favorite extra-large latte. (Yes, I’m talking about the one made extra hot with 2% milk, three pumps of sugar-free vanilla syrup, caramel drizzle, and extra whip. No judgment here – it’s worth every penny). Now grab that latte and let’s get started! 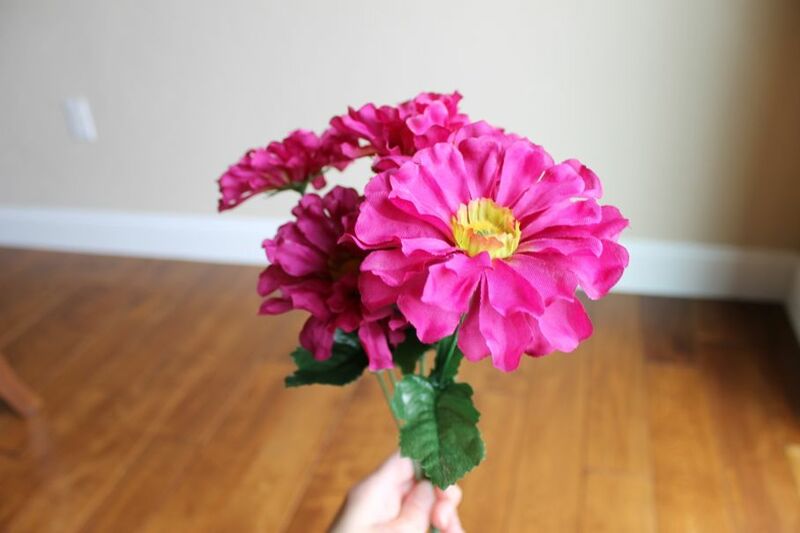 Choose flowers that have realistic colors. Flowers that are electric blue don’t exactly scream “lifelike,” so choose colors such as pink, lavender, yellow, burgundy, reddish-purple, and white. Choose flowers that have dimension. If you can find flowers that have intricate patterns or two-toned colors, go for those. 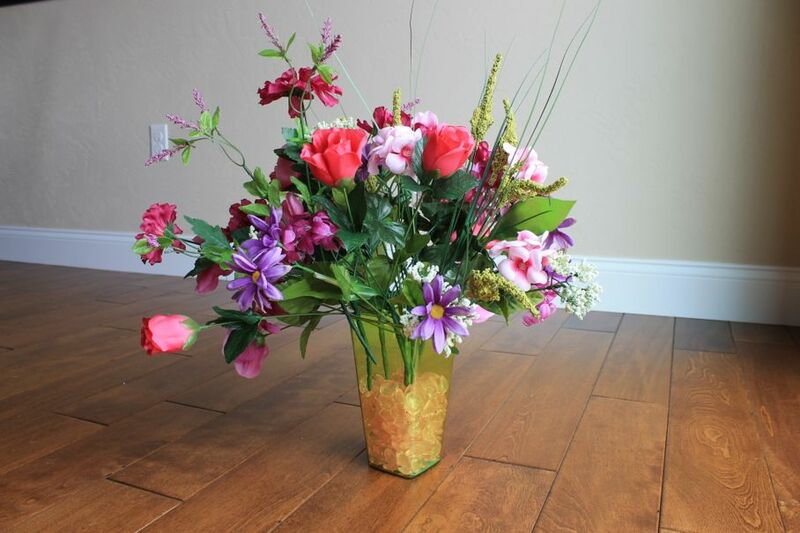 Those are the characteristics that make artificial flowers look like they came straight from a floral shop. Choose a variety of flowers species. Roses, zinnias, daisies, and orchids (to name a few) are examples of a group of flowers that each have a unique shape, size, and color, which adds visual interest to the arrangement. 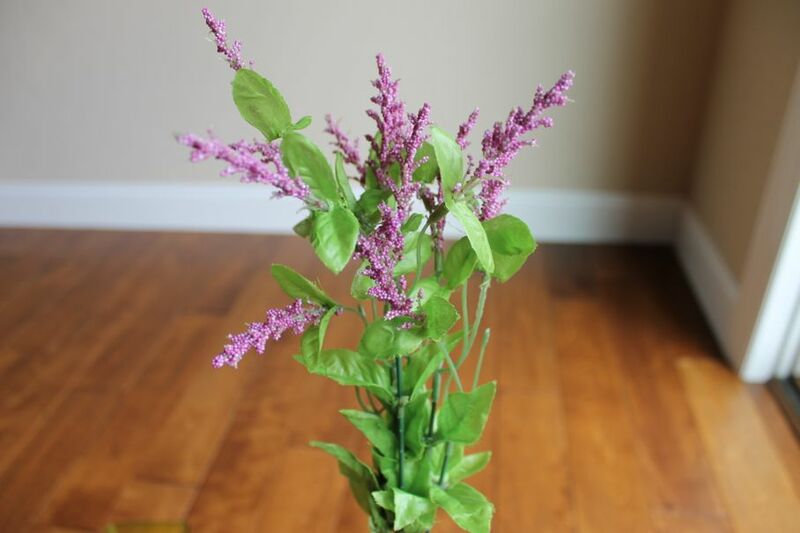 Be sure to add grasses, heather flowers, and baby’s breath to create a well-rounded design. Decide what size bouquet you would like. 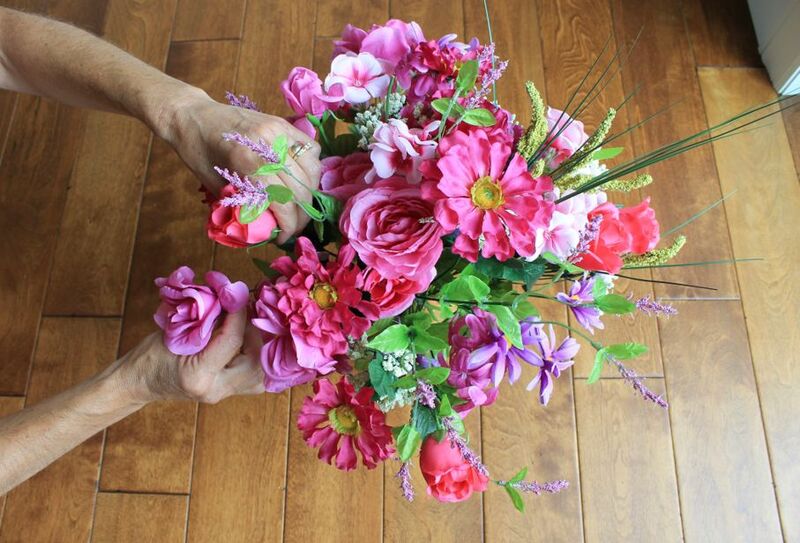 If you want a small- to medium-sized bouquet, choose 3 to 5 bunches. 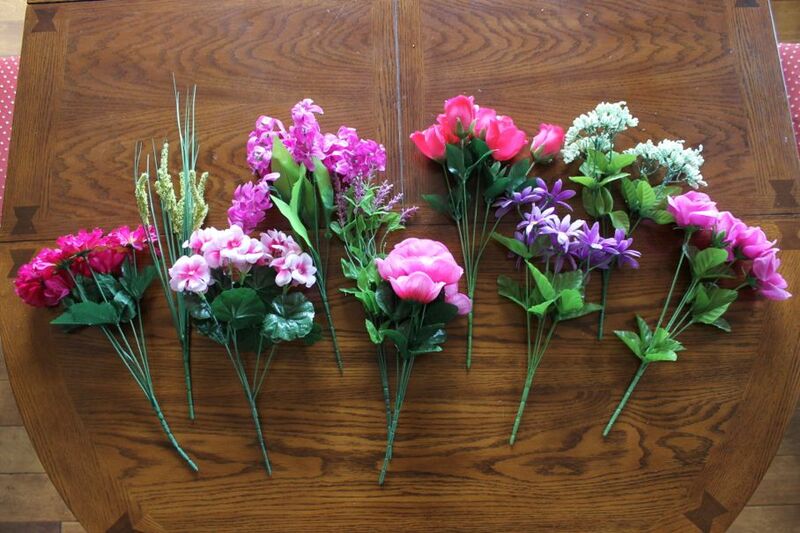 If you want a larger bouquet (like the one I made), choose 6 to 8 bunches. In addition, get one or two small bags of sand, pebbles, or glass or plastic marbles to add as a filler (this is needed so that the arrangement stays in place). Now you can head home and get to work! Step 2: Prep the flowers and the vase. Once you’re home, lay out all of your floral bunches on a table (and if they came with stickers or price tags on them, be sure to remove those). 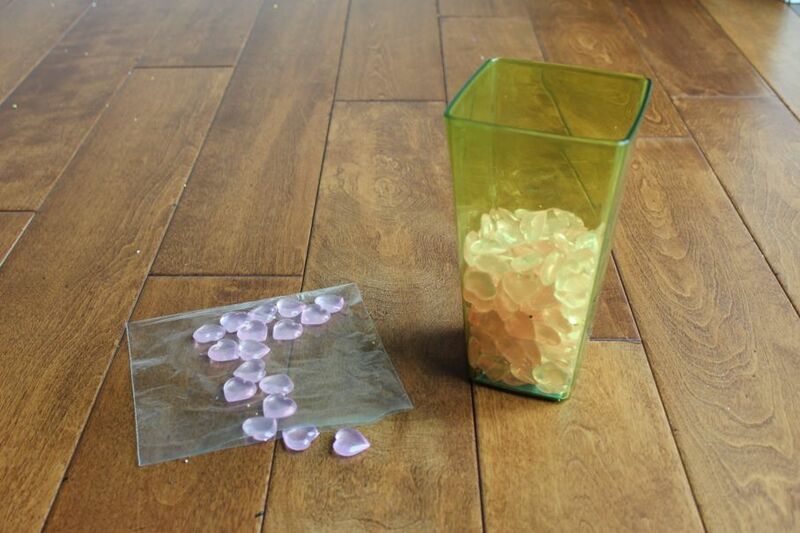 Next, pour your sand, pebbles, or marbles into the vase until it’s half to two-thirds of the way full. As a side note, I chose a plastic vase and plastic marbles (just in case a curious kitty happens to find her way onto the kitchen table). It’s less messy than sand, but if kids and pets aren’t going to be around, a glass vase with sand or pebbles can add an elegant touch! 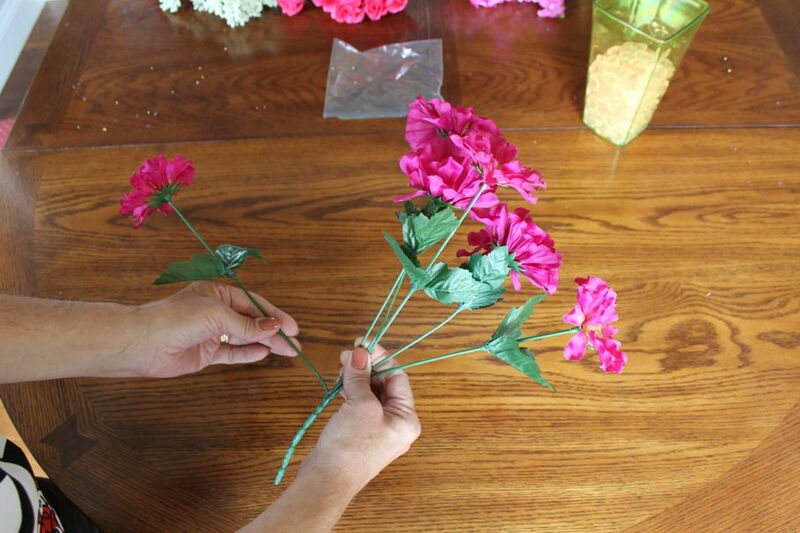 Step 3: Spread out the stems on each bunch of flowers. This requires a little bit of elbow grease! Actually, it’s not hard at all. The wires are very flexible, so this should only take a few minutes! Pick up one bunch of flowers. While holding the base with one hand, use your other hand to bend each wire stem so that the flowers are spaced out in a circle. 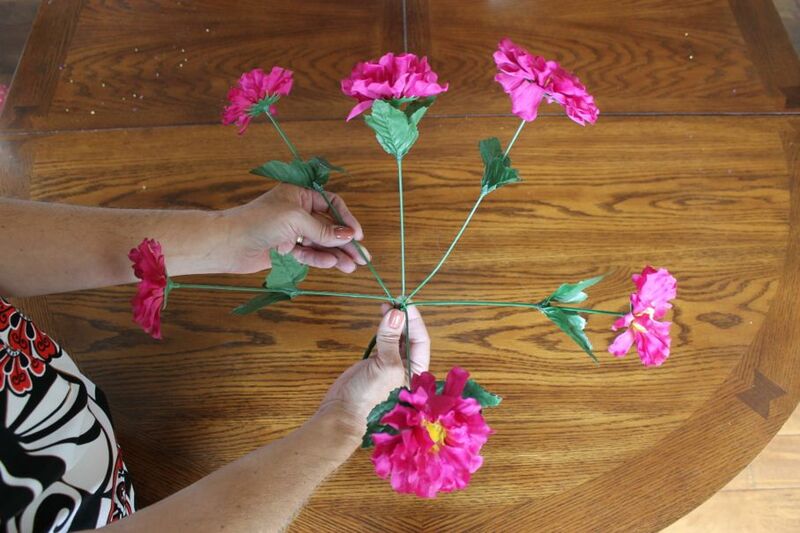 Do this to the rest of the flower bunches that you have on your table. 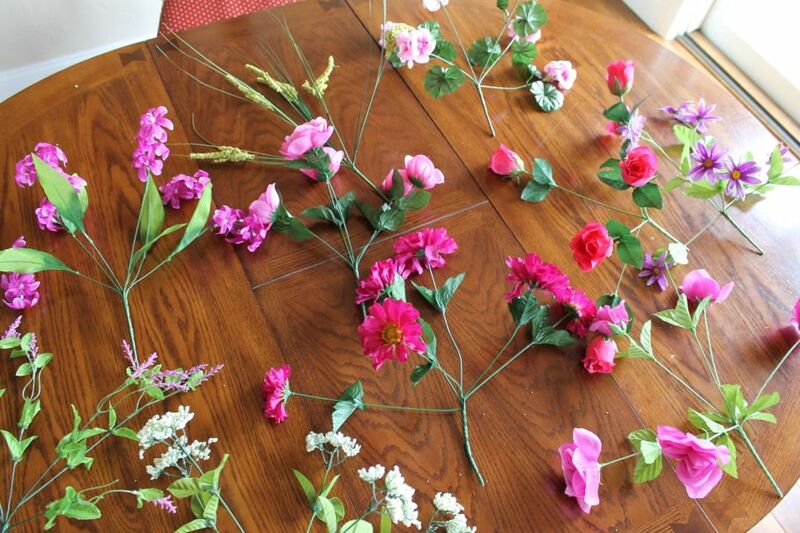 Once you’ve spread out the stems on each flower bunch, lay them out again on the table so that you can see each one clearly. 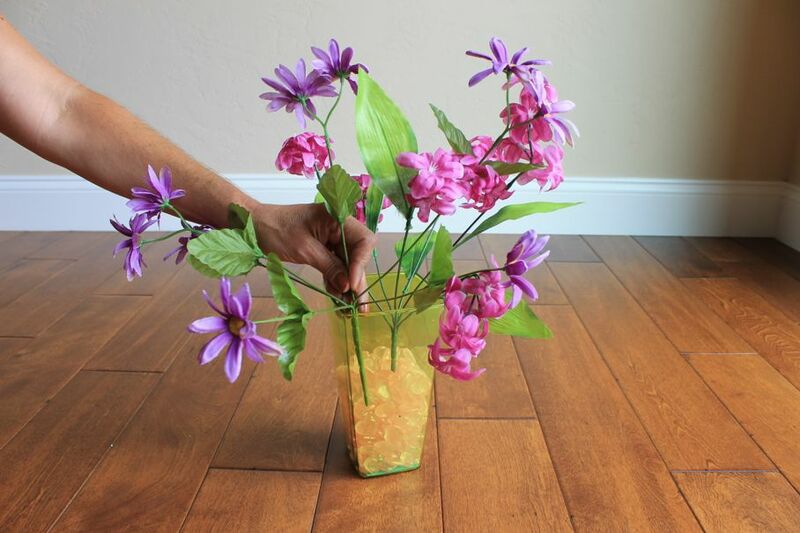 Step 4: Insert the flowers into the vase. Now that you’ve prepped your flowers and your vase, it’s time to do some arranging (feel free to pump up the music to get your creative juices flowing)! 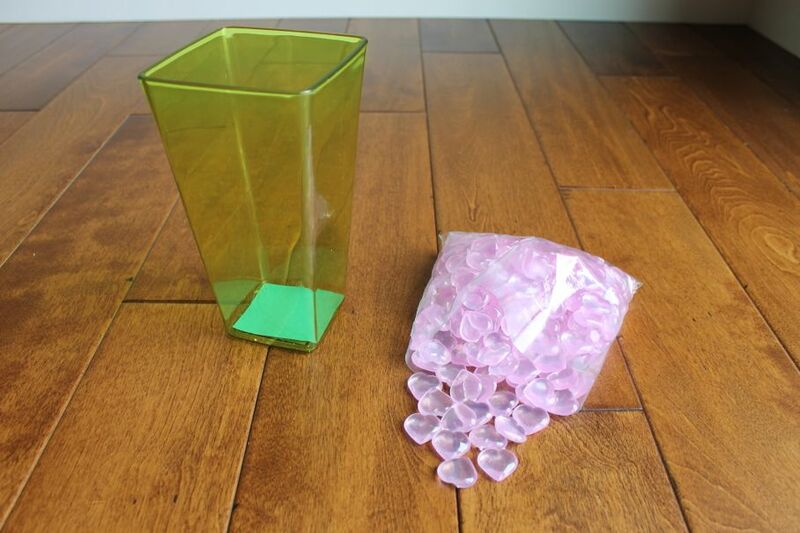 First, insert one bunch into the vase, and push it into the marbles/sand/pebbles so that it’s standing on its own. Second, grab another bunch and insert it next to the first bunch. 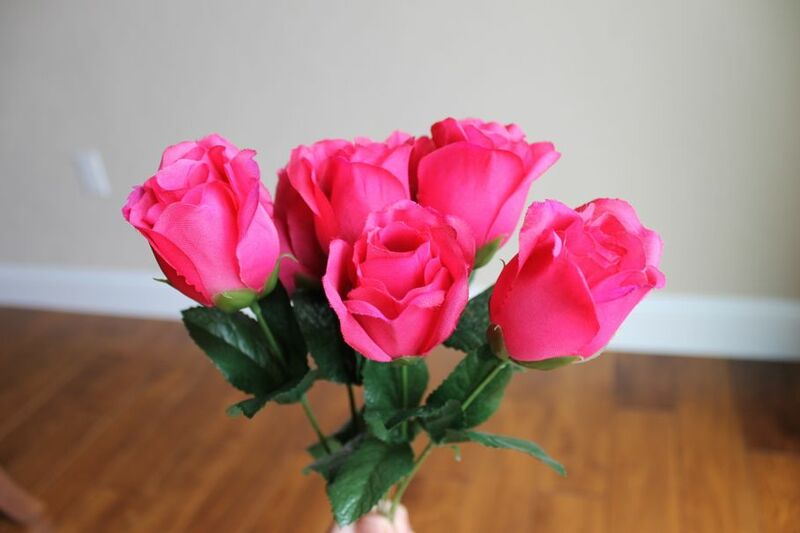 Make sure that the stems intertwine so that you don’t end up with clumps of one type of flower in each corner of the . 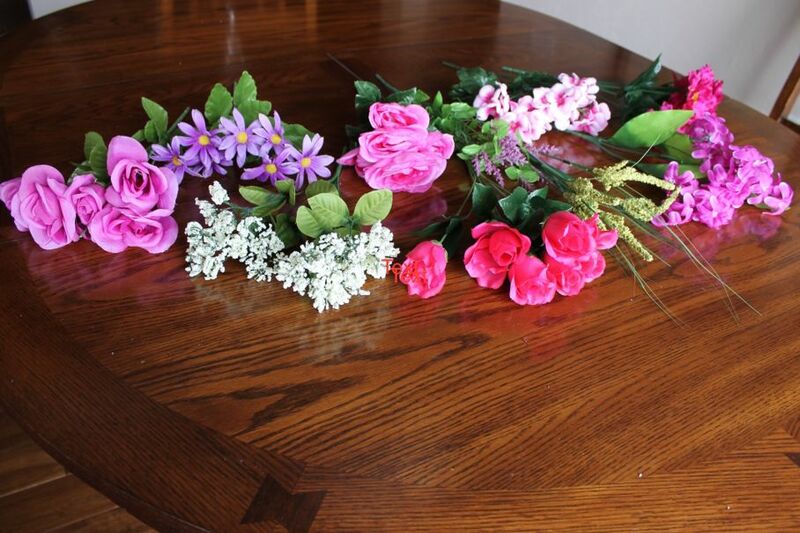 Step 5: Push the flowers together and arrange individual flowers as needed. Now it’s time to use your muscles and your mind! 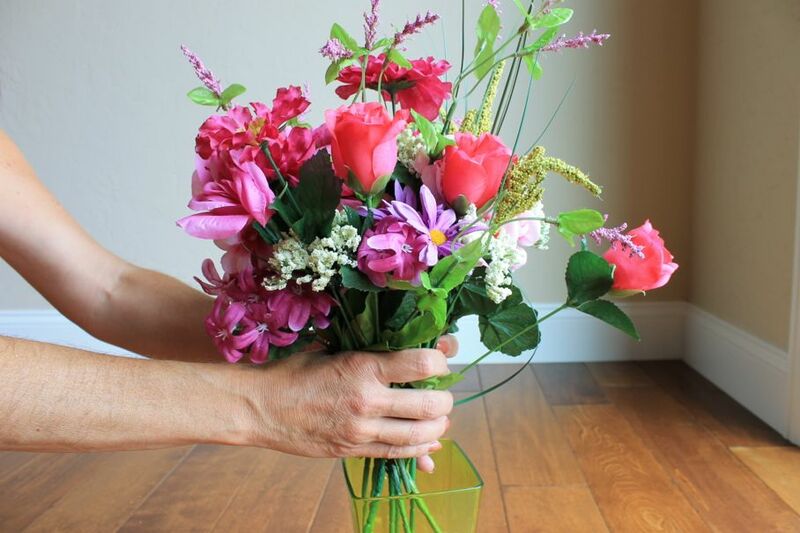 Squeeze the entire bouquet at the top of the stems, where the leaves are located, so that the stems come closer together (make sure that they are bent at vertical and diagonal angles, instead of leaning horizontally). After you get the flowers to come closer together, you can get creative by individually arranging certain flowers so that they are mixed evenly. Having the colors and patterns of each flower evenly distributed makes it look like a professional arrangement. Step 6: Find a spot in your house that needs a pick-me-up, and place your gorgeous blooms there for all to enjoy! 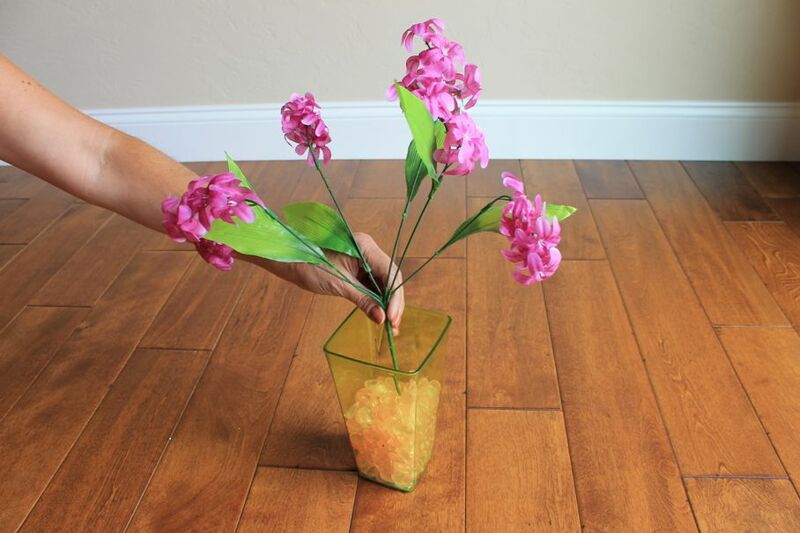 Are you ready to create a flower arrangement for your home? You can do it! After you’ve finished your masterpiece, we’d love to see it. 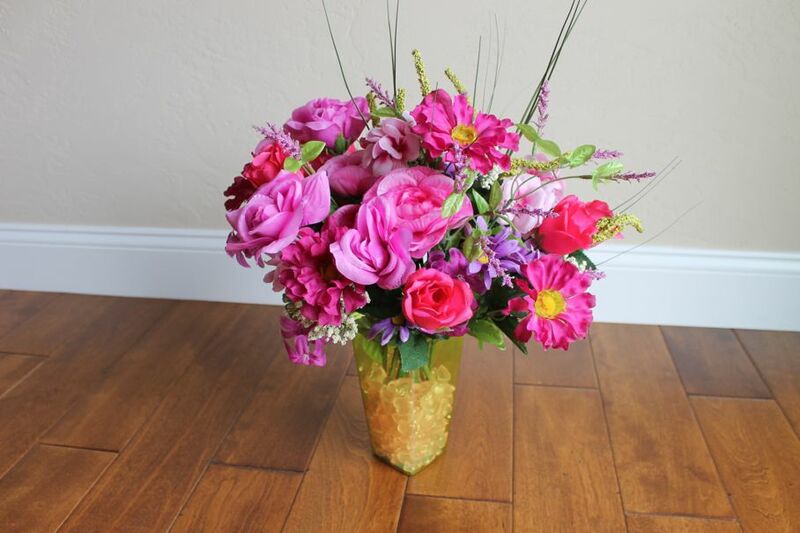 Feel free to upload a picture of your perfect flower arrangement below!